I made this last night for dinner. 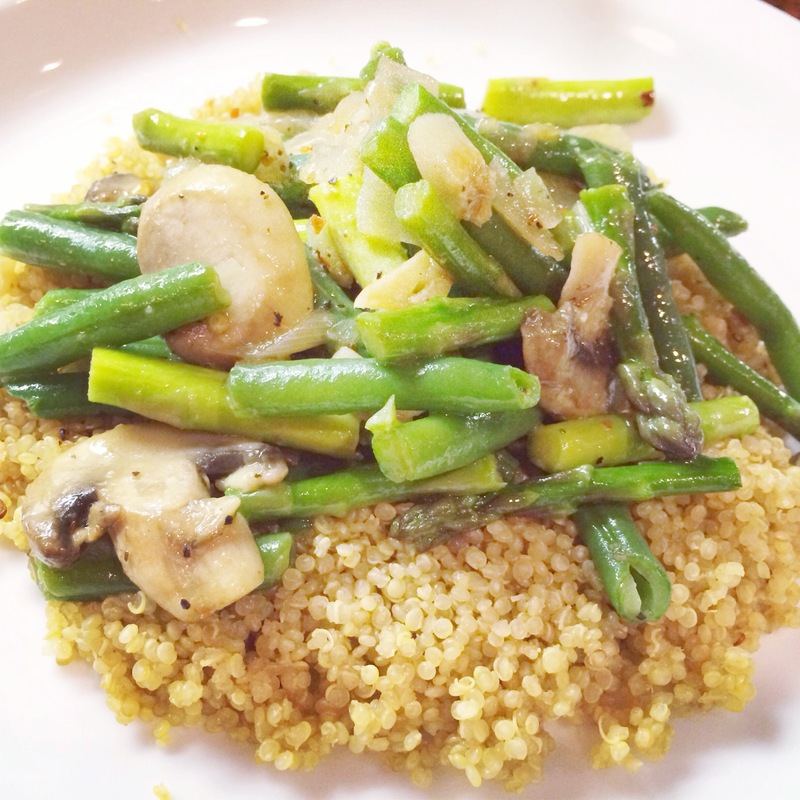 Green beans, asparagus, and mushrooms over quinoa. Start by trimming the green beans. Fill a large pot with water and when the water has reached a boil- put green beans in. If you have ever cooked green beans before you know that they take a while to cook. Boil only for a couple minutes, strain and leave in strainer while putting ice cubes over to stop the beans from cooking. This process is called blanching. In a separate pan, use oil of choice (I use extra virgin olive oil), fresh minced garlic and chopped white onion on a med heat. 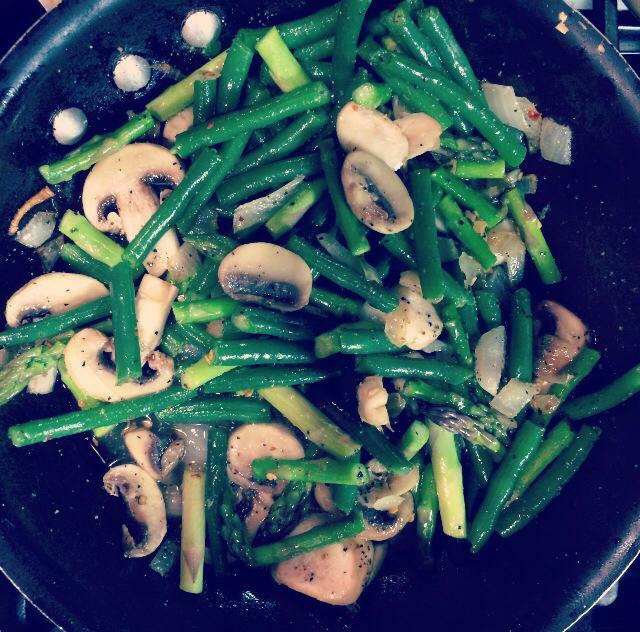 When the onions and garlic look like they are cooked add about a cup or less of veggie broth- and then add the asparagus, mushrooms, green beans along with salt, pepper, chili flakes and garlic powder. Let simmer on low heat until finished. 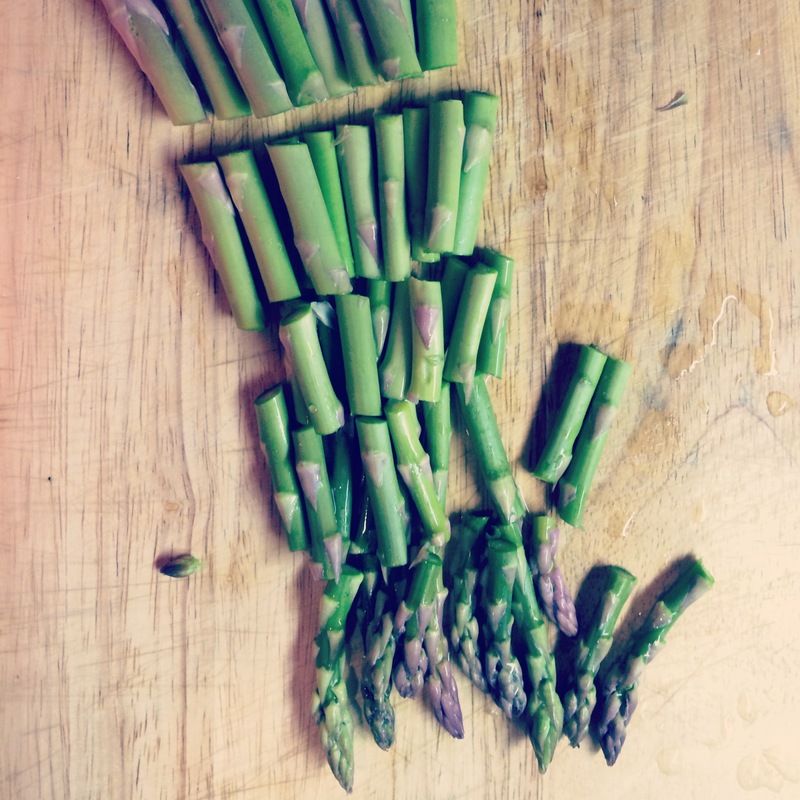 The veggies won’t take long to cook- I prefer my asparagus with a little crunch. In a separate pot cook the quinoa. It’s the same as rice, for every cup of quinoa two cups of water, veggie or chicken broth. I used veggie broth to add a little more flavor. Boil water, pour in quinoa and then reduce heat to simmer. This recipe is easy and you can easily add chicken to it if you would like more protein! Let me know how it turns out.